A day to draw the future of the kitchen with the theme of "technology × food". Various professionals from each field such as Food-tech, kitchen maker, entrepreneur, investor and business creator will gather in one place, connect to each other and combine the ideas. We will design Japanese new kitchen and lifestyle. Let’s put Smart Kitchen innovation in action. Latest news and updates are on our Facebook page. Join us and check it out! We invite people of the press to the summit. Please be advised that we will be filming / recording the event for official purposes. We will introduce the latest global Smart Kitchen trend and discuss the value proposition of Smart Kitchen with innovators and Investors. What value should we generate when Food and Cooking meet Technology? Cooking is actually a very scientific activity, but not many people understand the fun and power of science in cooking. We will invite academic researchers to introduce the new perspective of cooking from molecular gastronomy approach. We introduce unique pioneers from Japan and US who discovered the power and new value of food and cooking with leveraging technologies. We will discuss how smart kitchen can enrich our lives and society and that creates new business innovation. We will invite the startups who redefine the new value on food and cooking. In addition, we will introduce the Pioneers who try to make our food and cooking experience move varied and independent from the traditional value chain, and try to build the innovation infrastructure. We will set up the tables with different theme to discuss. You can join whichever you are interested in! We will discuss key perspectives with the global innovators who are doing the real business to drive the trends. 3D food printerで個別の食と健康管理を / What will a 3D Food Printer bring to our lives? Deep understanding of essence of humans is the starting point in building products and services. We will discuss with designers how they bridge the desire of consumers and technologies and visualize the ideas. OiCy Talk Session "Why was Cookpad's Smart Kitchen born?" Ecosystem is the key to imprement the business innovations. We will present the Platform Strategy Theory and discuss about it with global Platformers. We will invite the selected intrepreneurs and they will present their visions, businesses, and challenges as intrepreneurs. We will discuss on how we can support intrepreneurs/entrepreneurs to solve global issues and the founder of Future Food Institute will talk about her passion and details on the acceleration program. We invite pioneers from leading food tech companies and they will tell you their current Smart Kitchen business initiatives. We will discuss on the challenges and collaboration ideas to drive Smart Kitchem momentum! We will discuss the future vision of Smart Kitchen. How will it be positioned in our well-being? What can we do for global issues with Smart Kitchen business? How can we bring the value of Smart Kitchen into everyone's life globally? We will summarize the thoughts and discuss our visions. 我々のこれからの挑戦 / What Actions should we take for Smart Kitchen Innovation? We will talk a video of this event for marking purposes. 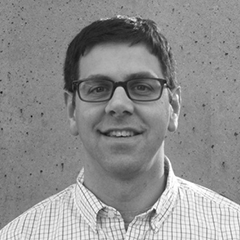 Michael Wolf is the creator of the Smart Kitchen Summit, host of the Smart Kitchen Show podcast and founder of NextMarket Insights a research and advisory firm focused on the connected home. He decided to put this conference together because he is fascinated by how technology will change the way we cook, eat and live. Mike has been advising companies large and small in the connected home, consumer technology and Internet of Things market verticals for over 15 years, and today he helps clients have used his advisory services to assist with product development, go-to-market strategy, marketing and advertising, and mergers and acquisition. 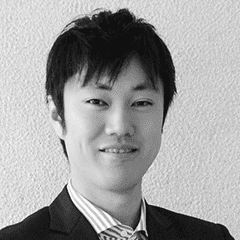 Hirotaka TanakaDirector / SIGMAXYZ Inc.
As a continuation of his successful career at Panasonic and McKinsey, he joined Sigmaxyz in January 2017. 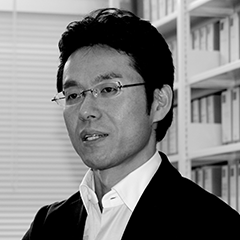 Hirotaka is an expert in growth strategy, new business development, M & A, implementation and negotiation and other areas that span multiple industries, such as in high-tech, manufacturing, telecommunications. His goal is to define in a clear way, how Japan should grow in cooking space, and to help it evolve into a completely new industry. 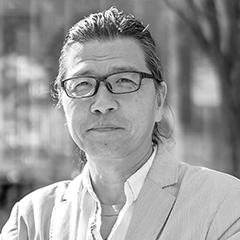 Hirotaka has supported business transformations at multiple companies and his attention was caught by lifestyle and business that grows and evolves together with technology. While working together with clients he has visited multiple companies and exhibitions in Japan, USA, Europe etc. and observed the newest trends and ideas. He found smart home promising, and especially smart kitchen has caught his eye. His focus is not only on making things smart, but also investigating and catching the way how "cooking" & "food", which are very important topics in our lives, will change. That is why he started "Smart Kitchen Summit Japan". After graduating from the Faculty of Engineering in Tokyo University, he worked at a global management consulting firm "Bain & company" and engaged in strategy consulting for both Japanese and overseas companies. From 1992, he worked in Apple Japan as a director of market development and marketing. While supporting his wife, who was studying for MBA in INSEAD, he was charmed by cooking and proceeded to get MBA at IMD in Switzerland. In 2000 in Silicon Valley, he co-founded a streaming media start up Generic Media, and have experienced all of the stages from fundraising to exit (buy out). Later he founded First Compass Group. In 2010, he joined Evernote Japan as a chairman. 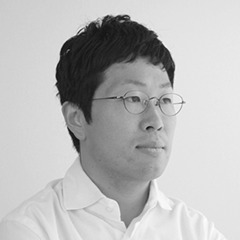 In 2012, he was selected as [100 people who will create the next era] by Nikkei Business. Currently, he supports multiple startups as an advisor, is a partner of Scrum Ventures and special advisor for All Turtles. In addition, he is active in NPO space. 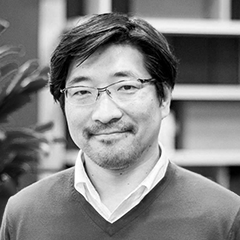 He is a founder of "SVJEN", a network for Japanese entrepreneurs in Silicon Valley and was the first chairman. Currently he is the advisor for "異能(Inno)vation" program, curated by Japan’s Ministry of Internal Affairs and Communications (MIC). During his stint at Evernote Japan, he was also called Chief Food Officer, and is active in "Fusion of food and IT" in Silicon Valley. 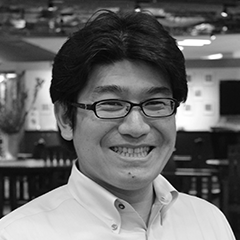 Currently he is the brand advisor for Nippon Gochiso Select, chairman of All Japan food association and senior advisor of entrepreneurs’ program at Okayama University. Miyagi University. Ph.D. in Agricultural Science. Born in Fukushima in 1973. Graduated from Graduate School of Agricultural Science of Tohoku University. Worked as Research Fellow of Japan Society For The Promotion of Science, Assistant/lecturer at Kitasato University, Visiting lecturer of University of Guelph, Canada, and Associate Professor of Miyagi University. Specialized in Molecular Food Science, Molecular Cooking Science, and Molecular Nutritional Science. Main research theme is functionality of egg. Published various books regarding the food issues in molecular cooking science and technology. Organizer of Molecular Cooking Lab and serves as Deputy Representative of Molecular Cooking Research Association. After joining Sunwave corporation (currently LIXIL) in 2010, he was responsible for kitchen product development, and his focus is design. 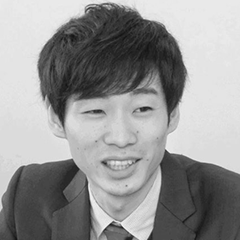 Yuya's method for developing products is to use insights regarding customer`s latent needs. He gathers such insights by very carefully observing the users. Yuya is reasoning that kitchen is a tool, which can inspire creativity. He proposes a concept, where kitchen is the center of living, and he designs relationship between human and space. In recent years LIXIL feels that as a mass market manufacturer, there are things they can do to evolve a new and supremely exciting food related culture. 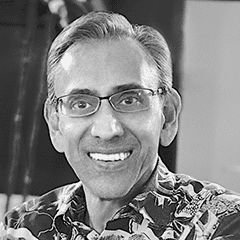 As CEO of Freshub, Iri serves as chief visionary for the connected kitchen and its potential to open a world of opportunities for grocers, appliance and device manufacturers, and CPG brands. Prior to Freshub Iri was the Founder and CEO of eXelate, developing its vision, driving its launch, building its executive team and shepherding its subsequent growth to its position as the industry-standard data engine. eXelate was successfully sold to Nielsen in in 2015, yielding very high returns to its investors. Prior to that Iri was the Founder and CEO of Oridian, succefully sold to Y-Brant in 2007. 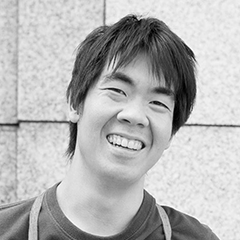 Shun Hashimoto CEO / BASE FOOD Inc.
Born in 1988. 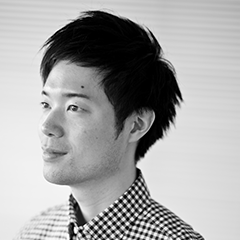 After graduating from The University of Tokyo College of Arts and Sciences, he joined DeNA Corporation and engaged in producing social games, starting a parking sharing service and launching a service of robot taxi as a founding member. In April 2016, he founded BASE FOOD Inc. With the vision of “Innovating staple food to make everyone healthy as a given", they developed the world's first staple food that provides all the necessary nutrition, "BASE PASTA". Currently, all eleven employees are focused on wide-spreading throughout the domestic market, and to prepare for overseas expansion. 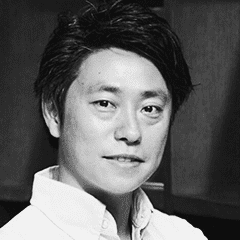 Taichi Isaku is the co-founder of CoCooking, a company which seeks to enhance people’s ideas, communication, and well-being through food and cooking. 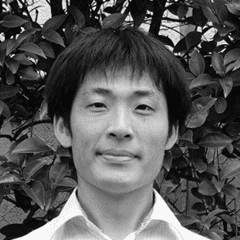 He is also a senior researcher at the Keio Research Institute at SFC who specializes in pattern languages and its applications into the field of cooking. In addition, he is a board member of Slow Food Nippon, the Japanese branch of the world’s largest non-profit food movement that protects good food and its producers. By combining his skills and interests, he designs tools, places, and systems that would allow anyone to join in a warm and creative cocooking session regardless of their cooking abilities. Born in Fukushima Prefecture, 1982. After graduating from Kyoto University, he started to　work at a financial institution, consulting firm. In 2011 he joined to MAFF. He has launched some public-private partnerships program. For example, he engaged in the initiative of the public-private fund "A-Five" to support the diversification of agricultural business, and the start-up of the program "Savor Japan" to support local community who promote inbound tourism for enjoying local food and culinary culture. Together with young members from MAFF, he launched "Team 414" last year, and started activities to design the future of food industry with public and private sectors. 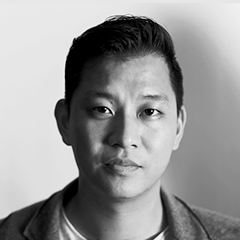 Born and raised in the Silicon Valley, Kevin is a serial tech entrepreneur who relentlessly builds technology experiences that empower people in their modern day lifestyles. He is a three-time TEDx speaker on innovative design and a vision-driven entrepreneur who has cultivated more than eight years of experience at the world’s leading gaming companies, with his mainstay at Blizzard Entertainment. Kevin is currently bringing key learnings from gaming to build one of the most popular smart cooking platforms, SideChef, named 'Best Apps of 2017' by Google Play, that empowers cooks throughout the entire cooking process, from personalized inspiration, to grocery fulfillment, and award winning interactive photo & video step-by-step cooking. Graduated from the Faculty of Fisheries, Hokkaido University. Joined Nichirei Foods Inc. in 2000. 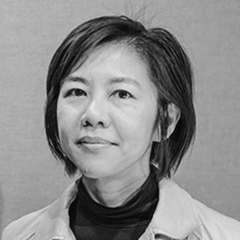 Eriko oversaw planning and development of new products from produce to logistics of our client’s convenience stores and fast food chains. In 2013, as part of the Ministry of Economy, Trade and Industry's business, she was participated in the Saha Group a major consumer goods　company in Thailand. She was contributed to customer acquisition to other Asian countries as the only Japanese. In 2014, Eriko was assigned to the Ministry of Agriculture, Forestry and Fisheries and oversaw PR activities for Japanese food. In the three-year period, she led the planning and implementation of events in about 10 countries and 30 cities around the world, including Japanese food events at the Rio Olympic Japan House and the Washoku Reception in conjunction with the UN General Assembly's in New York. She contributed to export promotion of Japanese foodstuffs. Since July 2017, as a manager of Business Innovation Group of Nichirei corporation, she has been promoting a new business development project with the goal of "Advancing the provision of food around the world." 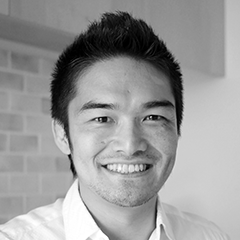 Akihisa Kaneko Group Leader of Smart Kitchen Group / Cookpad Inc.
Group Leader of Smart Kitchen Group / Cookpad Inc.
Akihisa is currently the Group Leader of Smart Kitchen Group at Cookpad Inc., where he is launching a Smart Kitchen service called “OiCy” for making daily cooking enjoyable. 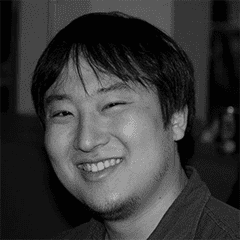 In 2004, Akihisa Joined Sony Corp. as a software engineer and developed new camera functions, mobile apps on tablet device, etc. 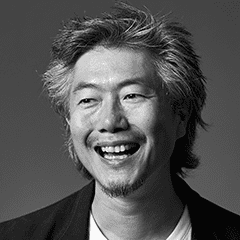 In 2011, he went to Stanford University as a visiting scholar to study behavior design. And after a year, he took part in product concept and business development. Meanwhile, Akihisa has been cooking at home for several years. While he faced various challenges in cooking, he realized that he could use technology to make cooking easier and better. With the passion to fulfill his vision of Smart Kitchen combined with technology, he joined Cookpad Inc. in 2018. Serial Entrepreneur, Experienced Co-Founder with a demonstrated history of working in the computer software industry. Skilled in Data Science, Machine Learning, Lean Management. Strong entrepreneurship professional with a Master of Science (MS) focused in Data Science Science from Northwestern University and Iowa State University. 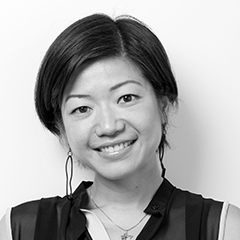 Winnie Leung is Communications Director at Bits x Bites, China’s first food tech acceleration platform and VC. There she shapes the PR and thought leadership program, with the goal to support startups in solving food system challenges. With a mission to shape the future of food, Bits x Bites is a big step forward to inspire Chinese entrepreneurs to bring new ideas to solve global issues. Bits x Bites has invested in companies advancing nanoscale contaminant detection, blockchain-based solutions for supply chains, as well as a company that is producing meat directly from animal cells without an actual animal. 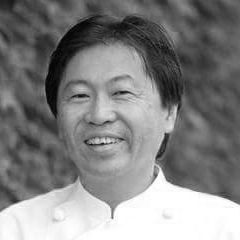 Chef Masayuki Okuda was born in 1969 in Tsuruoka city of the Prefecture of Yamagata. After his training in Tokyo, he opened the Italian Restaurant “Al-ché-cciano” in 2000 in Tsuruoka city. The restaurant uses seasonal local ingredients and offers a menu of dishes that allows diners to feel close to the local producers. He has supervised the “Japan Night 2012”, a dinner party of 500 guests, held in Davos World Economic Forum as an Executive Producer. He has also been chosen as the “Master Chef” earning the silver medal by the Ministry of Agriculture, Environment and Fishing. 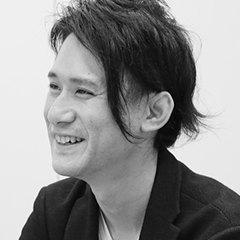 Kohei Matsumoto Director / Oisix ra daichi Inc.
Director / Oisix ra daichi Inc.
Born in Kobe City in 1984. 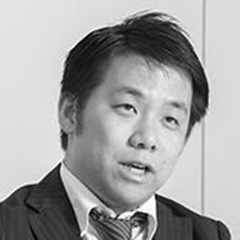 After graduating from Tokyo Institute of Technology Graduate School of Technology and Innovation Management, he joined Oisix ra daichi Inc.
After in charge of developing new business such as media business and overseas business, promoted business tie-ups with Recruit Co. and Mitsukoshi Isetan. Transferred to the Corporate Planning Department in 2012 and engaged in IPO and IR. 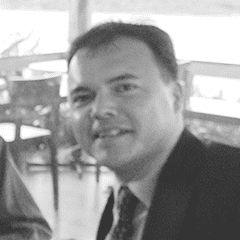 From 2014,he became Corporate Officer, Head of Corporate Planning Division, engaging investment and M&A. In 2016,he launched the FoodTec fund. He took office as a director from June, 2018. Diversity, sustainability and creativity are the keywords of Kaori. She has moved to the Netherlands as an exchange student while studying at Graduate School of Agriculture, Kyoto University. 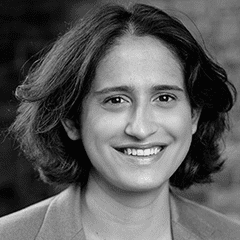 She holds an MSc in environmental sciences from Wageningen University and an MBA from University of Bradford. Her professional background includes marketing, business analysis, strategy and M&A in aquaculture and animal nutrition sector. As a self-employed consultant and a representative of TNO Food and Nutrition in Japan since 2013, Kaori is seen at seminars and conferences promoting mid-/long-term innovation programs to Japanese food industry sector. Jazz piano is her long-standing passion. Jon has been a startup and technology addict for more than 20 years. He spent nearly a decade at Amazon working on everything from the e-commerce website, to web services, to the launch of the Kindle Fire tablet. In need of more adventure he moved to San Francisco to become the head of engineering at Pinterest where he grew the tech team from fivefold in just under two years. In 2014, Jon founded Meld which joined forces with Hestan Smart Cooking in 2015 to bring the concept of guided cooking to home cooks. 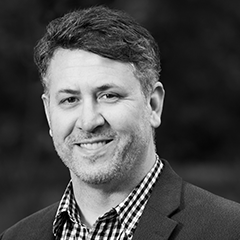 In his current role as Director of Technology, he focuses on the science of cooking and establishing strategic partnerships between Hestan Smart Cooking and other companies. Sara Roversi is the cofounder of You Can Group, an entrepreneurial ecosystem that since 2014 has been fueling the creation of new startups mainly in the food and tech sectors as well as supporting business partners in innovation processes. Her recent philanthropic project, the Future Food Institute, focus on future scenarios of food and social innovation. 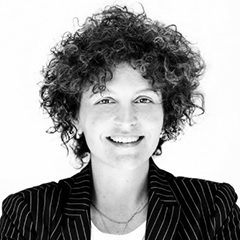 She is a Professor of Entrepreneurship, and has been active since 2010 in Unindustria Bologna as President of “Tradeshow Marketing and Communications Section” in the Tertiary Sector. She has been a member of the delegation of the Young Entrepreneurs of Confindustria G20 YEA SUMMIT since 2013. 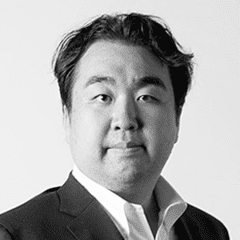 Masao Matsumura Principal / SIGMAXYZ Inc.
Masao Matsumura serves as Principal of SIGMAXYZ Inc. for platform strategy development against disruption and digitization. 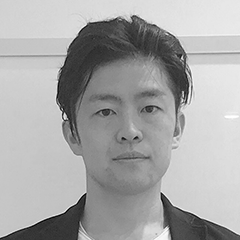 Prior to joining Sigmaxyz, Masao was co-founder of IoT startup, and real estate - architecture startup responsible for marketing, prototyping, and business strategy. 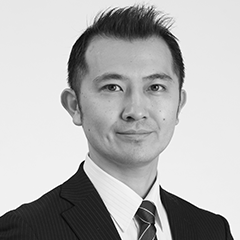 Masao was alumni of strategic consulting firm and has project experience of marketing, growth strategy, and turnaround. Masao received BA in Physics from Tokyo Institute of Technology. Started his career in Panasonic Corp, and in Canada and the United States, after an international business management program at Queen's University, Canada. Executed marketing communications for audio/video and digital imaging products, including launching of Lumix digital camera and DVD recorder, including tie-ups with Hollywood film and music scene. Managed sport sponsorship contract including IOC and Organizing Committees of Olympic Games from 2004, technology operations and executing marketing strategy and communications. Appointed as Director in Panasonic Canada in 2010 and managed and executed product and marketing strategy in Consumer Products Division. Led new business development projects for future growth opportunities at Panasonic’s Appliances Company since 2015. Started internal innovation accelerator Game Changer Catapult in 2016, which is an initiative to transform ideas into reality to make the people’s wish through open innovation for a better life, a better world. Appointed as Director in BeeEdge Co.,Ltd. a joint-venture business incubation company with Panasonic and Scrum Ventures LLC, a US-based venture capital firm. 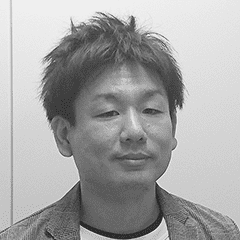 Yoshinori Mizuguchi Director CSO / Metabologenomics, Inc.
Dr. Yoshinori Mizuguchi co-founded Metabologenomics, Inc. and was appointed director of the company in 2015, when he was a master course student at the Tokyo Institute of Technology, Tokyo Tech. He completed a Ph.D. course of the Graduate School of Bioscience and Biotechnology at the Tokyo Tech and the Program for Leading Graduate Schools, Education Academy of Computational Life Sciences at the Tokyo Tech, supported by the MEXT and JSPS in 2018. Metabologenomics, Inc. is a leading company developing technologies for personalized healthcare and medicine in hopes of realizing a disease-free society by modulating intestinal environment, "Intestinal Design". Gordon Foster General Manager / evertron America Inc.
Gordon is the General Manager of evertron America Inc. Headquartered in Japan, evertron is creating innovation in multiple industries including the food industry, by applying electro-magnetic technology to influence the behavior water molecules. 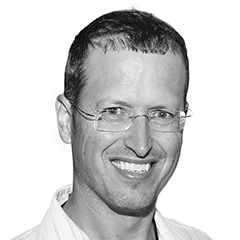 Gordon has an engineering background and has spent most of his career in business development for the automotive alternative energy industry. Gordon was part of the management team at Calnetix Inc., a company that developed a system to convert waste heat to electricity. The technology was later sold to General Electric. Currently, he is building a team to pursue development and production of evertron technology for the North American market. Yuki Hanyu CEO / Integriculture Inc. Graduated from University of Oxford with Ph.D in Chemistry in 2010 / -2012: Post-doctoral research associate at Tohoku University / -2014: Research fellow at Systems Engineering Laboratory, Toshiba R&D Center / 2014: Launched “Shojinmeat Project”, a citizen science cellular agriculture initiative / 2015: Founded Integriculture Inc. to commercialize clean meat. Shintaro Hattori is the CEO and co-founder of snaq.me, a personalized subscription box company which offers over 170 Guilt Free snacks through online. Before founding snaq.me, Shintaro was a Venture Capitalist at DeNA. He invested in about 15 startups for 2 years in Japan and Korea. Prior to DeNA, He was a management consultant at Boston Consulting Group focusing on Internet, mobile and technology. A founder of a subsidiary startup company of KIRIN Co., Ltd., supporting the process of mass production in food development with food startup companies and regional companies, networking regional small food factories. 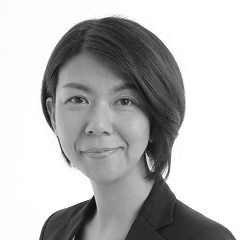 Miki Kanamaru CEO / SEE THE SUN, Inc.
CEO / SEE THE SUN, Inc.
Involved in Marketing and Promotion division at Morinaga. Later, managed the food accelerator pgrogram for the first time in food industry. Established SEE THE SUN Inc. in 2017 as a new business. Responding the various food needs, Kanamaru is willing to aim on creating an enjoyable culture of diversity and a sustainable society. Joined JAXA in 2006. He is in charge of planning some collaborative activities with companies and universities. 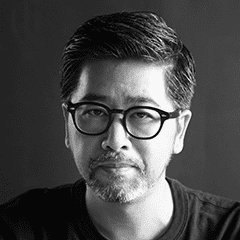 In 2014, he was assigned to Dentsu Inc., he has launched some sponsorship program of space content. Now, as a producer of Business Development Group of JAXA, he has been promoting a new business development of "future space food ". Masayuki Kinoshita CEO / DayBreak Co,Ltd. 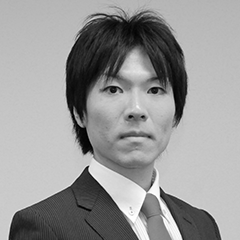 Masayuki Kinoshita was born in the "flash freeze family" and started his career as a freeze technical expert at the age of 20. While working as a technical expert, he founded "DayBreak Co., Ltd." to bring about a revolution in the FROZEN business industry in 2013. Like no other companies, DayBreak is specializing in flash freezers not general freezers. So far DayBreak has consulted with more than 3000 companies. 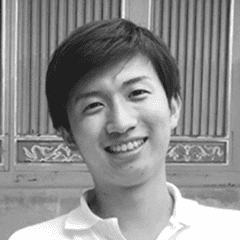 Founder and CEO of ZAZA Inc., which runs the dining table matching platform “airKitchen”.He studied at Nagoya University and University of Warwick. While studying abroad, he planned airKitchen by eating home cooking at his friend's home. He founded ZAZA Inc. after coming back to Japan. 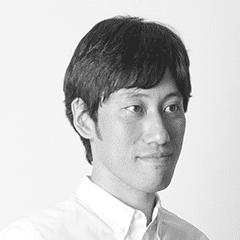 Shugo Nakama CEO / LinkAndShare Co,Ltd. Shugo’s background is Sales of food ingredients and Product Planning/Development. With 1000+ companies, established ""link and share"" for local food factories to expand sales channel to Tokyo area/overseas. Released ""Crowd Food"", B2B matching services. He aims to open the innovative sales channel with retailers to avoid the fierce price competition. Joined Dentsu Inc. in 2004 as an Art Director, and worked for various communication campaign and branding projects at planning and production role. Through that experience, he now works in a broader role as a Design Strategist, handling solution development and execution projects which is not limited to advertisement communication. Recent works include the Disaster Prevention Project handbook (Tokyo Metropolitan Government) / "WARPBALL" Project (Softbank), creating new sports using VR / "OPENMEALS" Project, a food revolution project which digitalizes the data of food sending out to an isolated location. Also a member of Dentsu Space Lab, Suburbs Innovation Center, etc. Good Design Gold Award. Multiple awards in D&AD / Cannes Lions, etc. 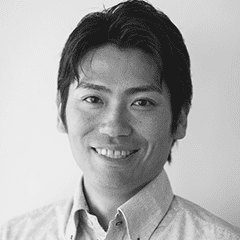 Takayoshi Serizawa Co-founder & CEO / PLANTIO, Inc. Co-founder & CEO / PLANTIO, Inc.
Third generation of human who developed planter for the first time in Japan.Developing a planter equipped with IoT+AI. Ranjan is the CEO of 3TandAi, a personalized wellness company that is using AI to harness advancements in gut biome, genetics, metabolic markers and food technology to reverse chronic diseases. He is passionate about “food as medicine” and practised it successfully to address his life-threatening disorder. Encouraged by doctor and scientist supporters he decided to commercialize his passion. 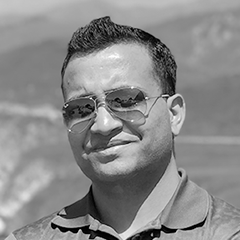 Ranjan has a Master’s degree from The Wharton School and education in engineering and nutrition. 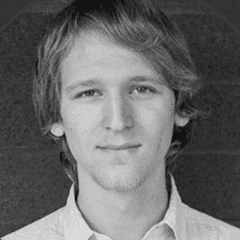 He has co-founded and run companies in the areas of large data software, human resources & direct to consumer foods. He is an active blogger and regular speaker at food tech and personalized wellness conferences. 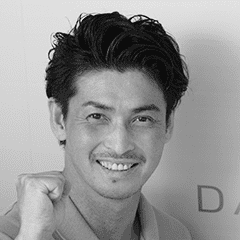 Kosuke Yamada Founder & CEO / PlantX Corp. 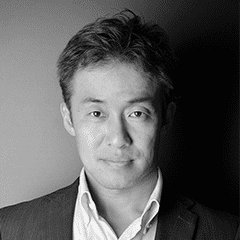 Founder & CEO / PlantX Corp.
Kosuke Yamada is a founder and CEO of PLANTX Corp. He enrolled at the University of Tokyo, graduating in 2007 with a master's degree in economics. Worked for Incs Inc., which is famous for innovative process technology of manufacturing. When Incs Inc. applies for bankruptcy rehabilitation, he formulated corporate restructuring plans. Since 2010, he participated in the establishment of 6 venture companies. At the end of 2013, met an indoor farming, he decided to establish PLANTX Corp.
Tadasuke (Tad) Yoshioka Business Development Department / Cookpad Inc.
Business Development Department / Cookpad Inc.
Tad is a Serial Entrepreneur / Business Professional with abundant experience in Business Development and Product Management in B2C Entertainment and Communication areas. Experienced starting multiple small businesses, VC EIR and serving global corporations such as Nintendo, Amazon and Cookpad. 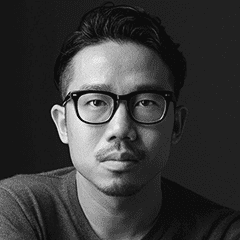 Kentaro Ichiki Senior Creative director / HAKUHODO Inc.
Senior Creative director / HAKUHODO Inc. Founder & Editor in Chief, “WHERE ART and SCIENCE FALL IN LOVE”, 2012-Current. Creative Director, HAKUHODO Inc., 2008-Current. 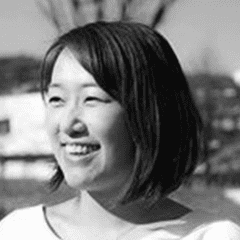 Representative Director, “Fermentation Future Forum” and “Tokyo River Story Project”. Master of Fine Arts in Inter-Media Art from Tokyo National University of Fine Arts and Music. Yoshiki earned a bachelor’s degree in Health Science from the University of Tokyo, a Master of Science in Health Policy and Management from Harvard School of Public Health, and a PhD in Medicine from Jichi Medical School. 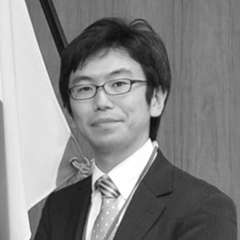 As a public health researcher and science journalist, Yoshiki specialized in Health Policy and Management, Behavioral Science, and Computational Creativity with the aim of advancing the well-being of humanity through a mathematical and computational approach with big data. Hitoshi Miyata CEO / OPENSAUCE Inc. He worked as a musician and started his own recording company; “Sound System Co.” in 1989. Worked on the world's first ringtone download service and created a huge music market. Established OPENSAUCE in 2017. Active in diverse fields such as food, IT, music, design, video work, and writing. He is fostering entrepreneurs and providing venture support. 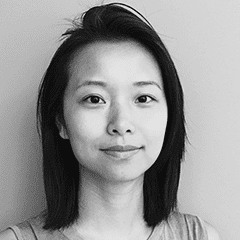 Shanshan Xu is the co-founder of the Cook-in Company Limited who created Mucho, the machine learning powered personalised recipe recommendation solution. Driven by helping people eat better, Mucho delivers seamless meal planning, food shopping and nutrition tracking experience. Ltd. through the training program of METI. He was born in Shiga Prefecture, 1981. After graduating from The University of Tokyo, he joined to MIC in 2003. In MIC, he has worked on ICT promotion policy such as digitalization in medical field or utilization of My Number Card (National ID card in Japan), and also he took the post in charge of planning ICT comprehensive strategy in 2017. Last year, he participated in launching “Team of Designing Future by TECH”, which consists of young staff of MIC. He has played a central role in managing the Team and making the images and their details of the future. We will have more speakers. Please wait for updates! © Copyright SIGMAXYZ Inc. all rights reserved.